You know that go-to meal you make when your family wants comfort food? The one you can make again and again and never get tired of? 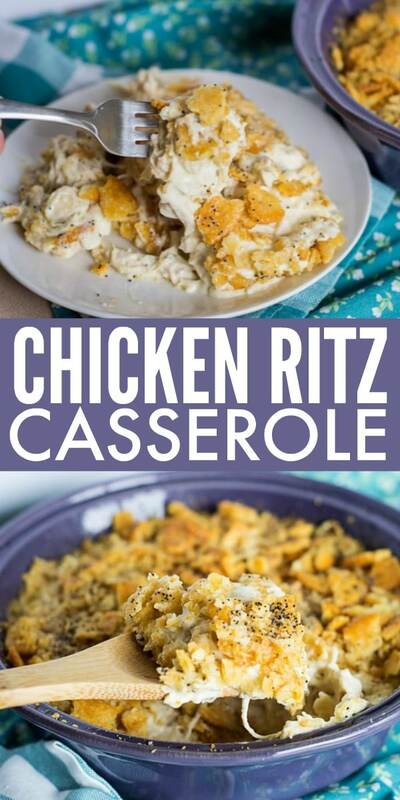 For us, it’s the classic Chicken Ritz Casserole. 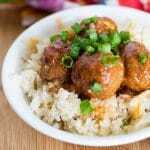 It’s easy to pull together and uses simple ingredients that you can easily find at your local Food Lion whenever the comfort food craving strikes. I’ve written a couple of times about my love for Food Lion. 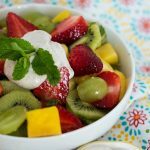 My Tropical Fruit Salad post has some tips about their Shop & Earn Rewards program, and my Baked Potato Soup showcases some of the awesome features of the Food Lion App. But do you know what my favorite thing about Food Lion is? It’s less than five minutes from my house. I know that I can pop in whenever I need to, and thanks to programs like MVP, Shop & Earn, and their weekly specials , I don’t worry about every nickel and dime I spend because I’ll save or earn money every time I’m in there. I was just thinking about how convenient it is the other day while I was shopping for ingredients for our favorite Chicken Ritz Casserole. 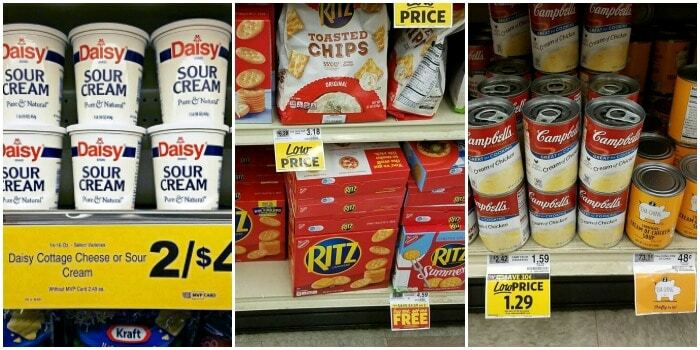 Both the sour cream and the crackers were on sale. Jackpot! And as for the soup, I love having the choice of quality generic ingredients if our budget is tight that particular day or week. Check that out… the soup in the orange can is less than half the price of the name brand! So, I grabbed the few groceries I needed. I don’t even clip coupons anymore because the Food Lion MVP Digital Coupons are loaded to my card. I already had chicken breasts, poppy seeds, and butter at home. Step 1 – Preheat the oven to 350 degrees. Step 2 – Spray the inside of a 2-quart casserole dish with non-stick cooking spray. Step 3 – In a large bowl, whisk together the sour cream and cream of chicken soup until combined. Step 4 – Fold in the chicken until all ingredients are well mixed. 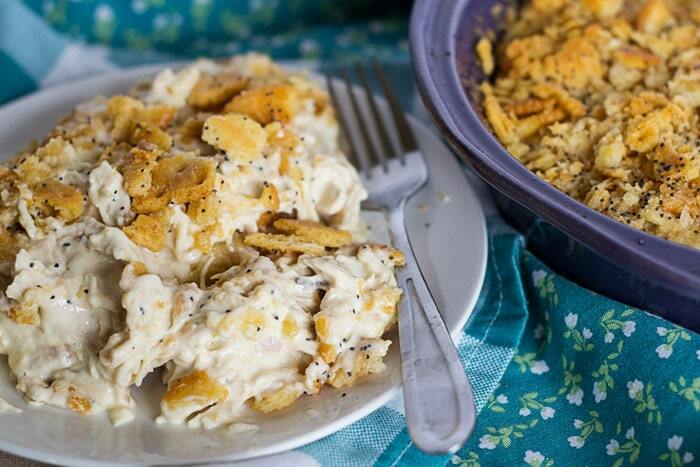 Step 5 – Pour chicken mixture into casserole dish and top with crushed Ritz crackers. Step 6 – Pour melted butter over the crackers. Sprinkle poppy seeds on top. Step 7 – Bake at 350 degrees for 25-30 minutes, until heated through and golden brown on top. If using a 9×13 baking dish, reduce baking time to 20-25 minutes, use two sleeves of Ritz crackers and a full stick of butter. The poppy seeds are entirely optional. 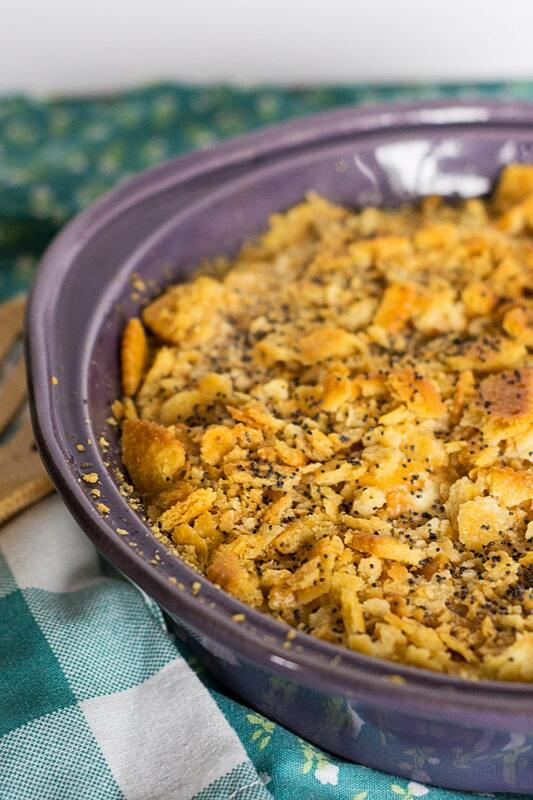 We love them because they add a little additional crunch and nutty flavor to the casserole. But if they get stuck in your teeth or you just aren’t into them, leave them off. The dish tastes pretty much the same without them. And my final tip? Keep cooked chicken breasts on hand at all times. You have no idea how much time this saves. I can whip up a casserole, chicken tacos or soup in a flash thanks to cooking lots of meat all at once. 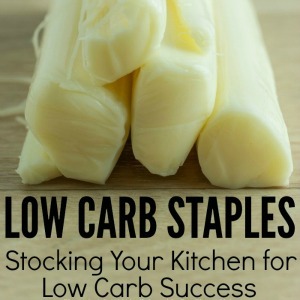 This also keeps my kitchen from getting super messy for multiple meals when I can do most of the cooking once. Just put the chicken breasts in a slow cooker with some chicken broth, salt, pepper and herbs if you want to use the Crock Pot. Cook 4-6 hours on low or 2-3 hours on high. My favorite cooking method is now the Instant Pot. I add 3-4 large frozen chicken breasts to the instant pot along with 2/3 cup – 1 cup of chicken broth and salt and pepper. Set the Instant Pot to manual for 12 minutes (for 3 frozen chicken breasts) or 15 minutes (for 4). Set it and forget it! I let the pressure release naturally to keep the moisture in. So, what are you waiting for? Write down the ingredients you need, and check the Shop and Earn page for anything else you want to pick up that’ll earn you rewards towards shopping next month. 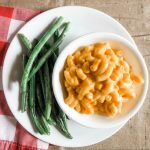 Let me know how your family likes this family favorite! 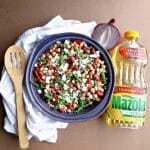 Want more yummy recipe ideas? Find them on the Fresh Ideas Blog! 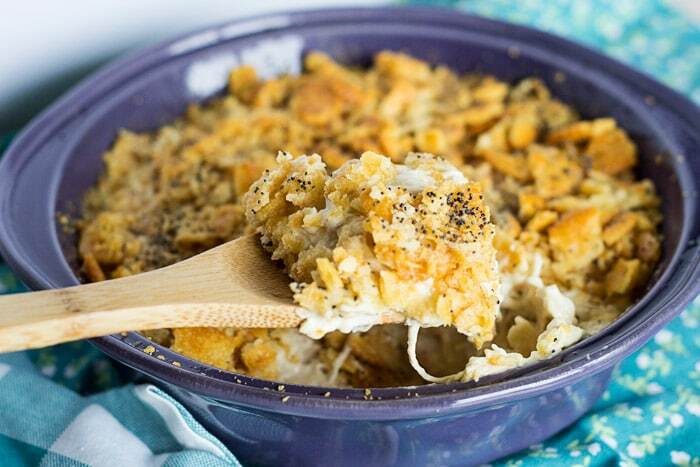 This classic Chicken Ritz Casserole is our favorite comfort food meal. 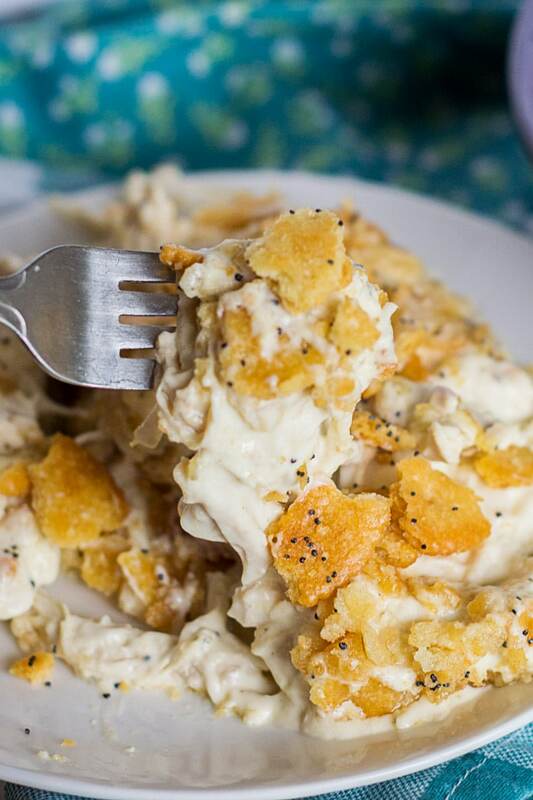 With creamy chunks of chicken and a buttery Ritz topping, it'll soon be a family favorite for you, too. Spray the inside of a 2-quart casserole dish with non-stick cooking spray. 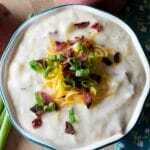 In a large bowl, whisk together the sour cream and cream of chicken soup until combined. Fold in the chicken until all ingredients are well mixed. 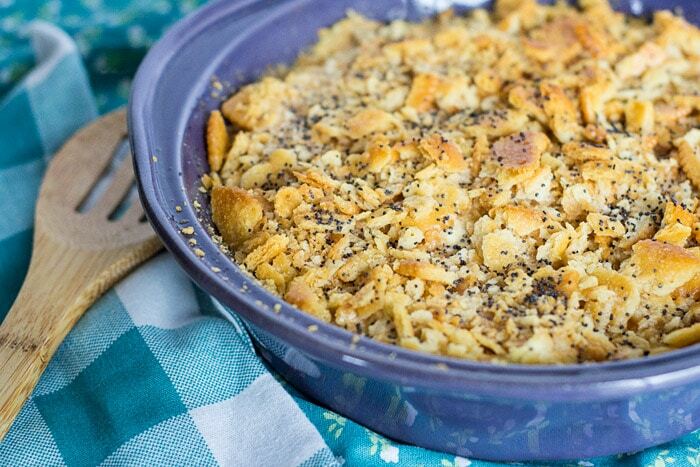 Pour chicken mixture into casserole dish and top with crushed Ritz crackers. Pour melted butter over the crackers. Sprinkle poppy seeds on top. Bake at 350 degrees for 25-30 minutes, until heated through and golden brown on top. My family loves this recipe. My daughter changed it a bit by adding cooked pasta. She also made it a little healthier by using olive oil on the crackers. Pasta sounds like a great addition! Thanks, Dawne. What did you leave out to add pasta.? Looks like it would be very dry. I did add some broth. Try using olive oil on the crackers. So good! 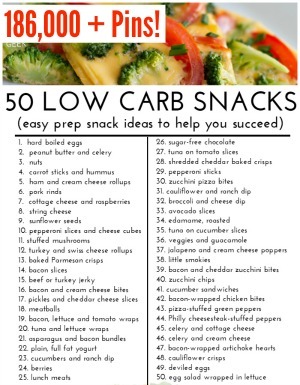 We do this but also add 2 cups shredded cheddar and an extra can of cream of chicken. For the topping we do 2 1/2 sleeves of ritz. It’s our favorite dish we like to make. Creamy cheesy goodness!! I think I would add : sauted onion, red pepper and a garlic to the mix. Some extra half & half and a handful of curly cooked pasta.. Some parsley at the finish.